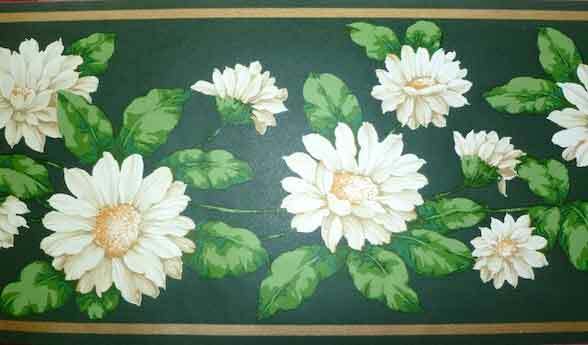 Shasta daisies vintage wallpaper border with centers of pale Yellow and Green leaves on a random vine pattern on a Dark Green field. Narrow Gold color bands appear at the top and bottom edges along with narrow Green bands. Note: The Green background is quite dark. 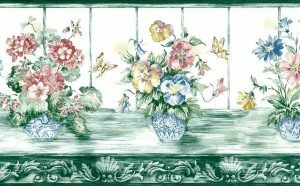 Lovely cottage look for a Kitchen or Breakfast Room or a Guest Bedroom.